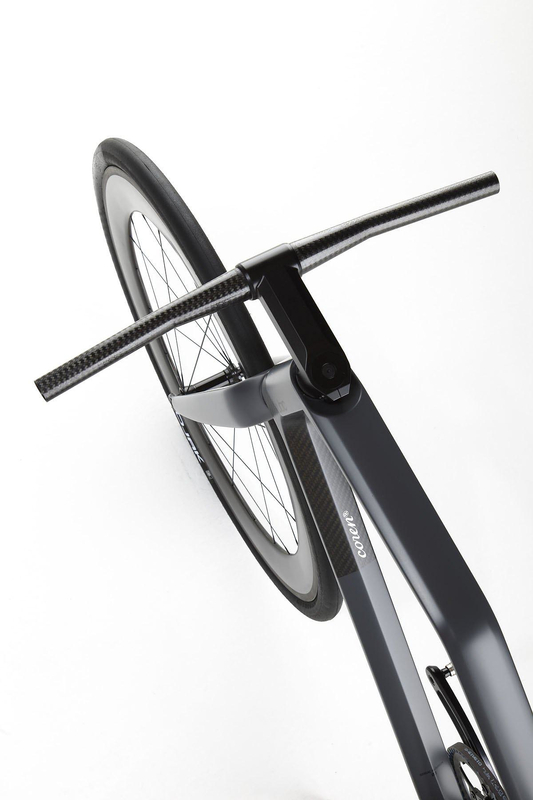 HomeBlogTechnologyUBC Coren carbon urban bike. 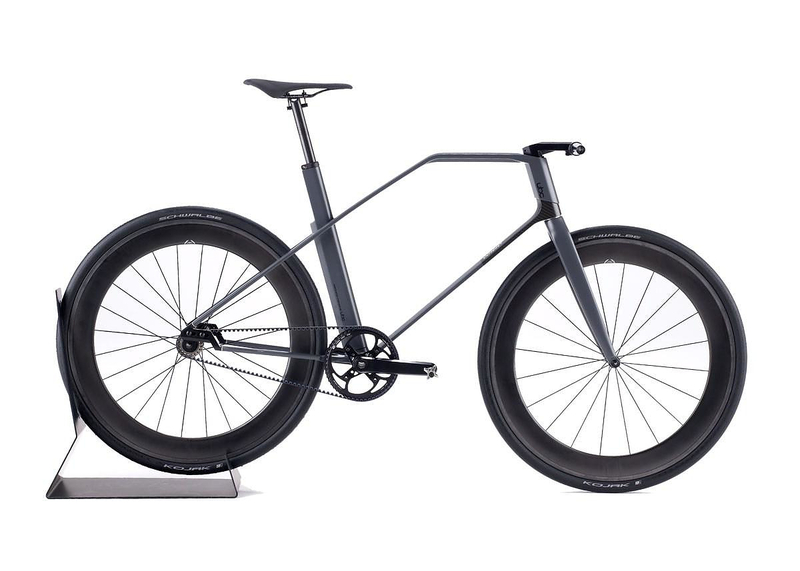 The Coren is the first bicycle developed by UBC, it is an outstanding fixed-gear urban bicycle with stunning design. 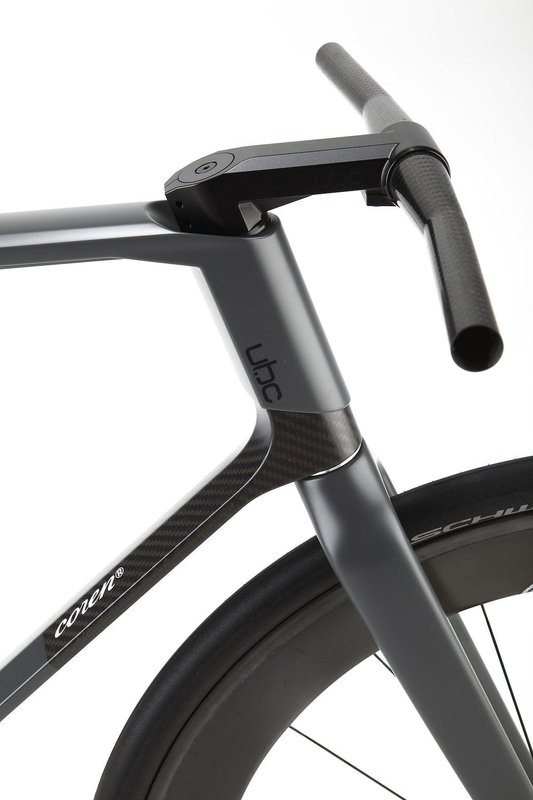 The UBC Coren is made entirely from carbon fiber. 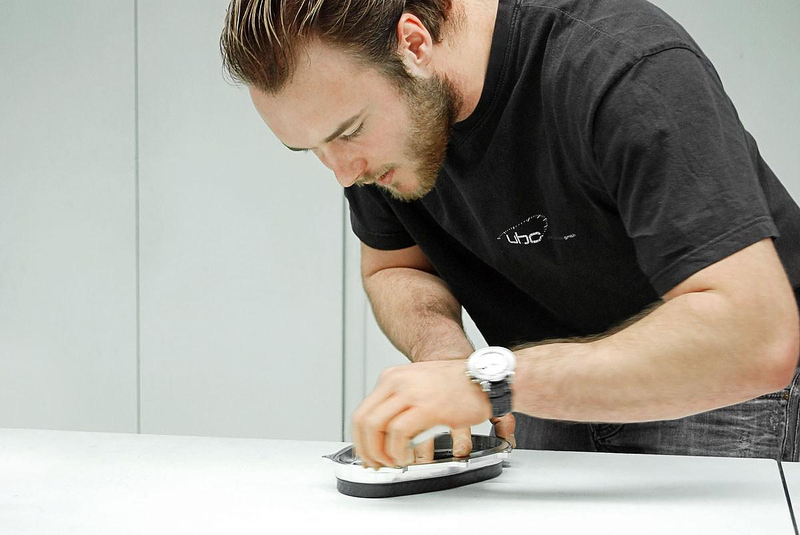 UBC Composites GmbH is a well-known brand in the world of motor sports. 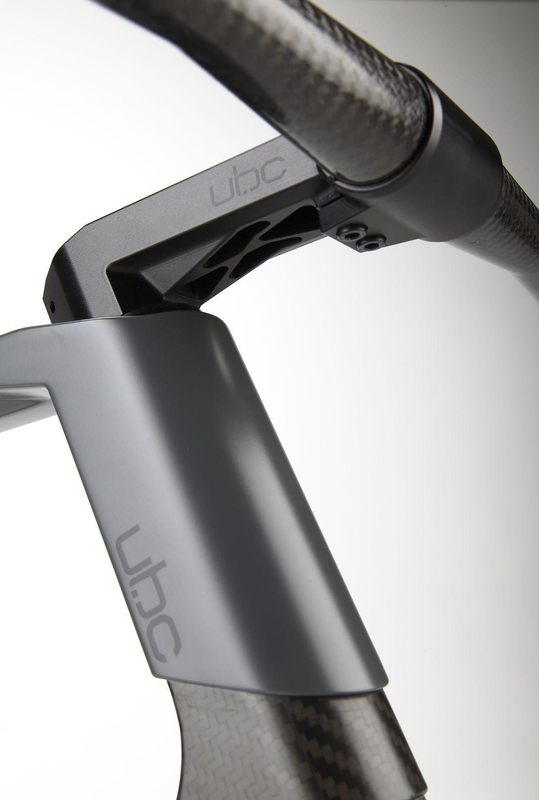 UBC manufactures extremely high performance carbon fiber parts for the Toyota Formula 1 racer and for many extraordinary cars such as the Porsche Carrera GT, the Audi R8, the Bugatti Veyron and the Porsche GT2. However even though these dazzling machines use UBC parts they don’t bear the UBC name. So Ulf Bräutigam, the company’s CEO decided that UBC should build a vehicle of its own, showcasing their incredible technology. 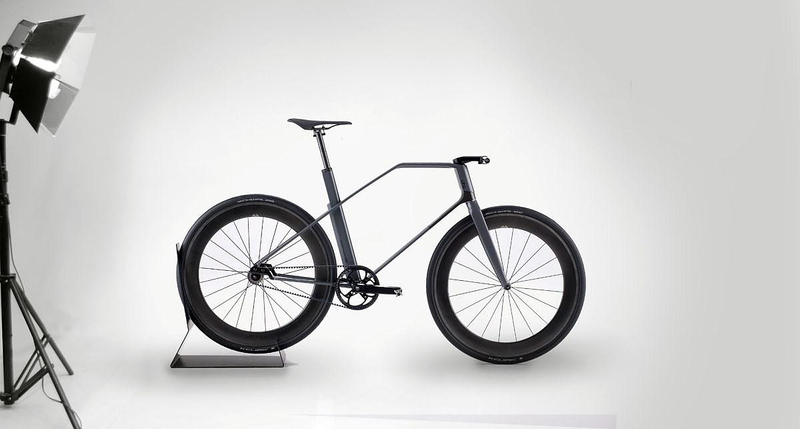 The result is the avant-garde urban bicycle UBC Coren designed by Christian Zanzotti. 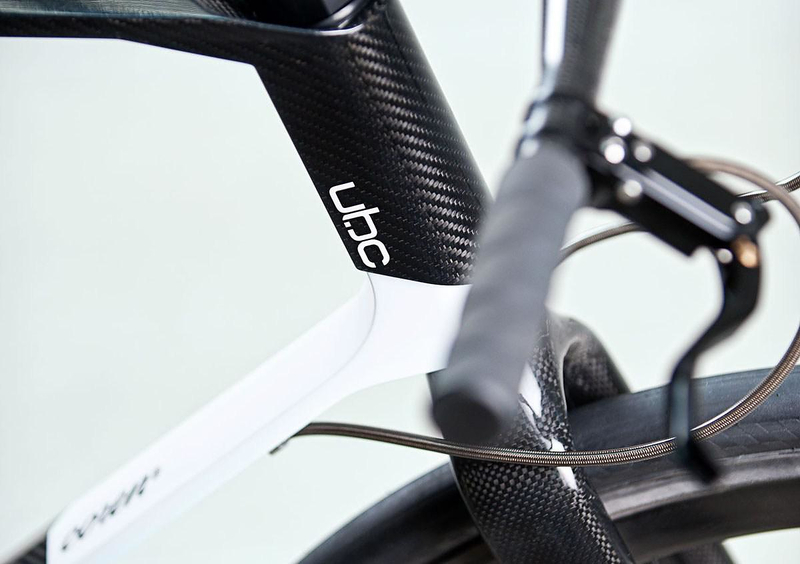 The Frame of the UBC Coren is not made of standard carbon fiber such as those used on automotive generic parts and other carbon bicycle frames. 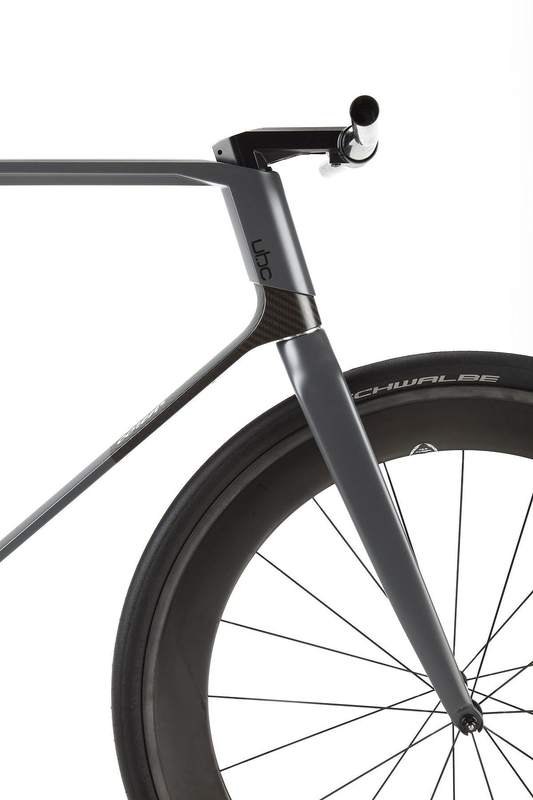 Instead it is made using high tensile strength T1000 carbon fiber, which is otherwise used almost solely for manufacturing a Formula 1 monocoque chassis. In designing the Coren Christain Zanzotti worked closely with UBC’s engineers, the team pushed the material to the limits and the result is inspiring. 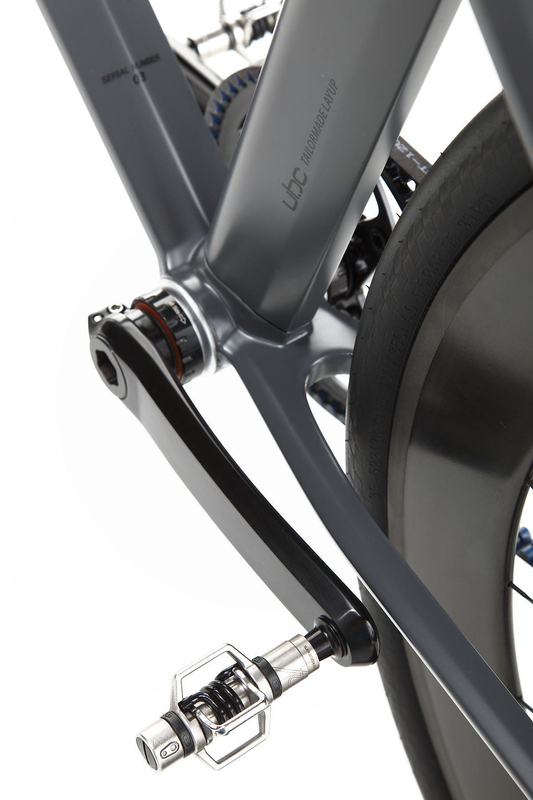 The super slim top and down tubes give the UBC Coren a unique visual lightness, while the aggressive styling provides a sportive and technologically advanced look. 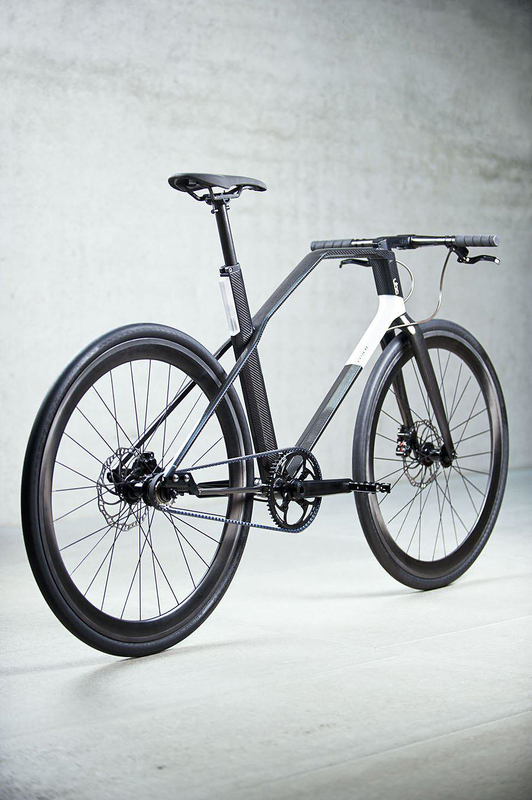 The overall weight at 7,700 grams shows the visual lightness is also a fact. 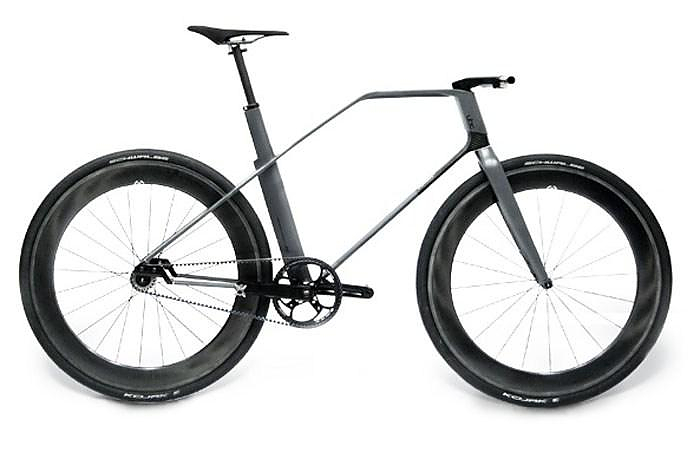 Maybe those of you that are familiar with bicycle tech are now thinking that 7,7 kilos is not a record, but considering that this is not a racer, but rather a fully equipped urban bicycle with disc brakes, a full size saddle, etc, this is an extremely low weight. 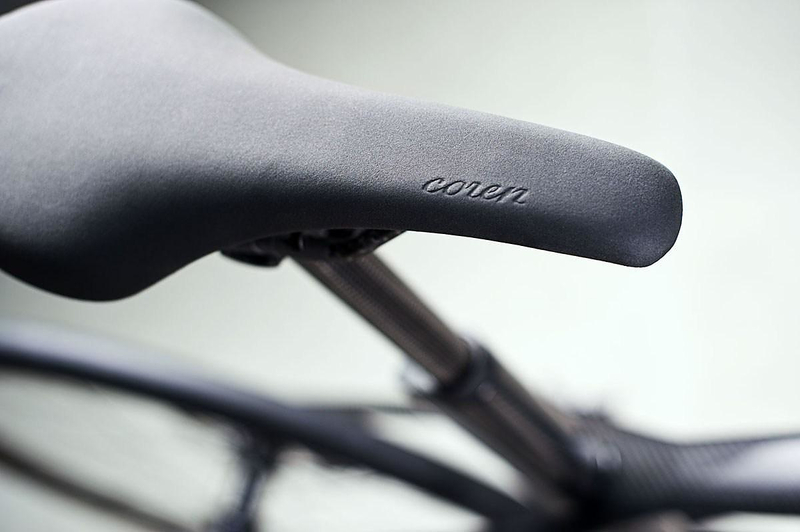 It takes 40 hours to make a Coren by hand and almost everything that applies to traditional bicycle production goes by the board. 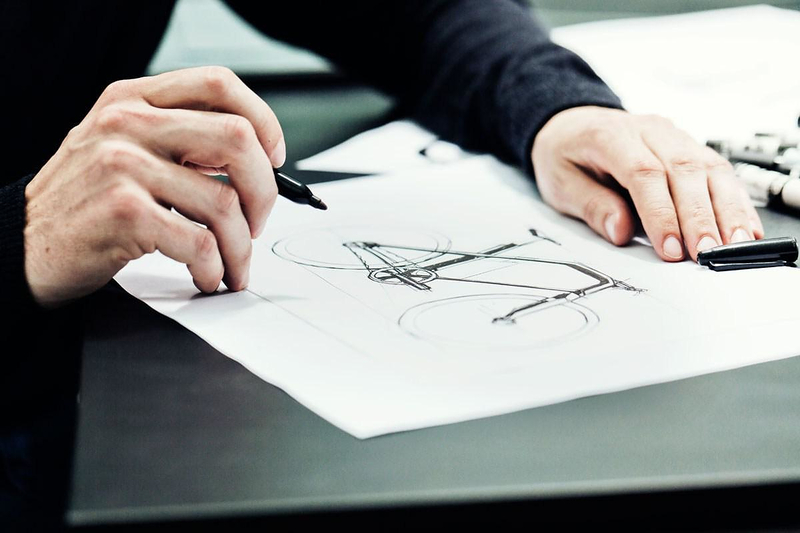 The design and the size of the frame are based on a new approach. 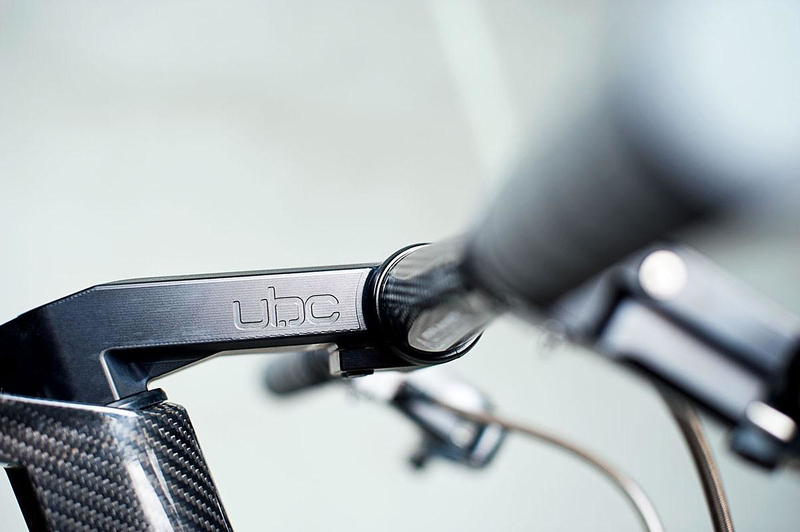 UBC fits the down tube, the top tube and the saddle tube together on an adjustable frame gauge. 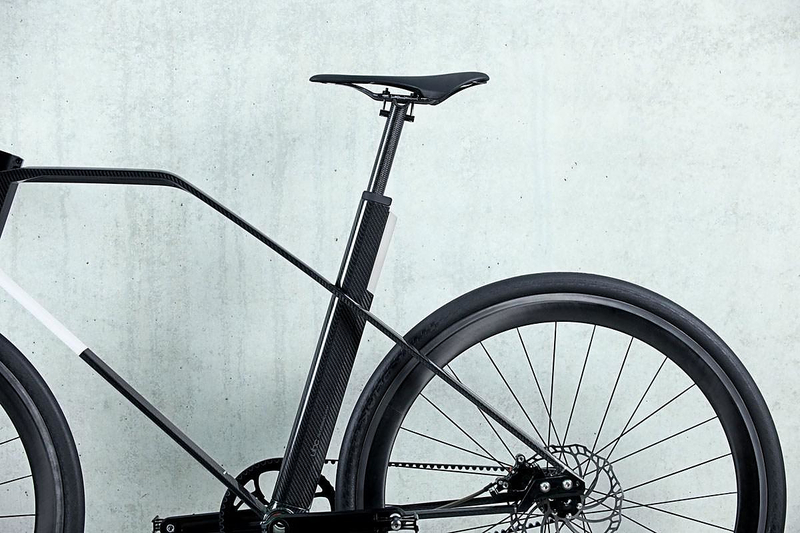 The bike owes its unique appearance particularly to the connection of the top tube and the seat tube to the delicate cross-section and the faultless quality of the material and workmanship. 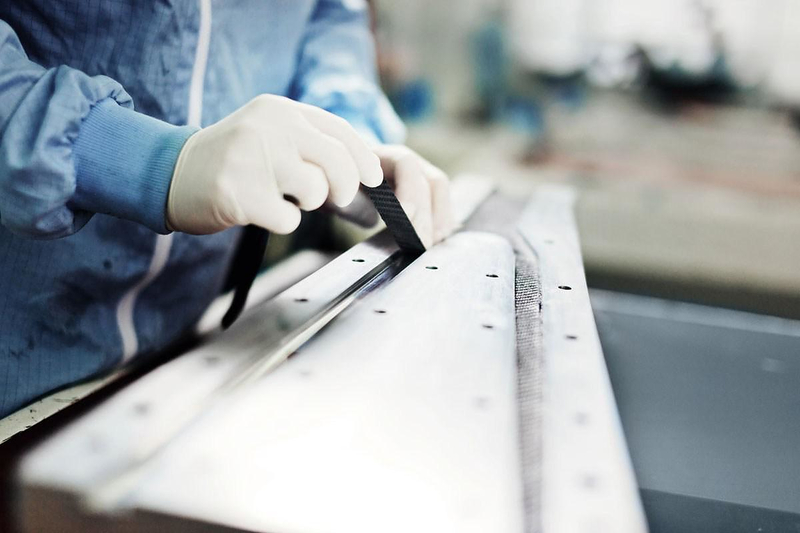 To guarantee this, the UBC engineers monitor the materials and the quality of workmanship on their own premises, in tolerance limits equivalent to the most stringent demands. 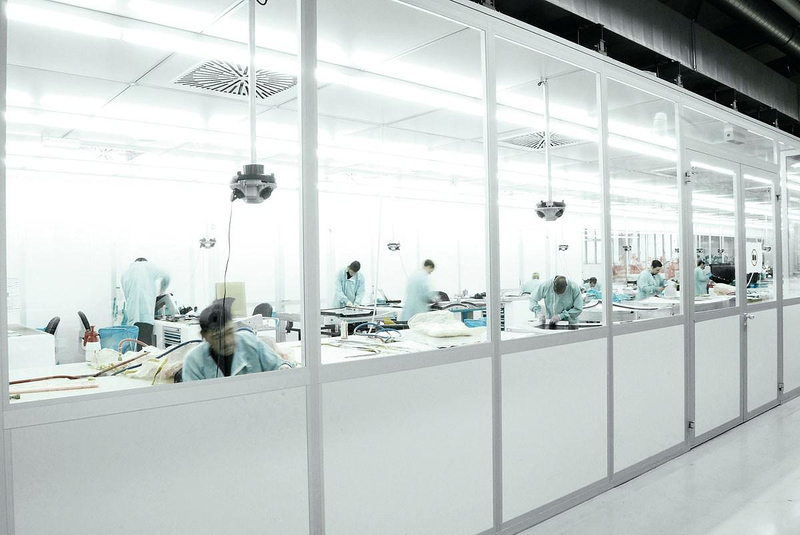 Exactly the same level of attention required for Formula 1, DTM racing and high performance cars. 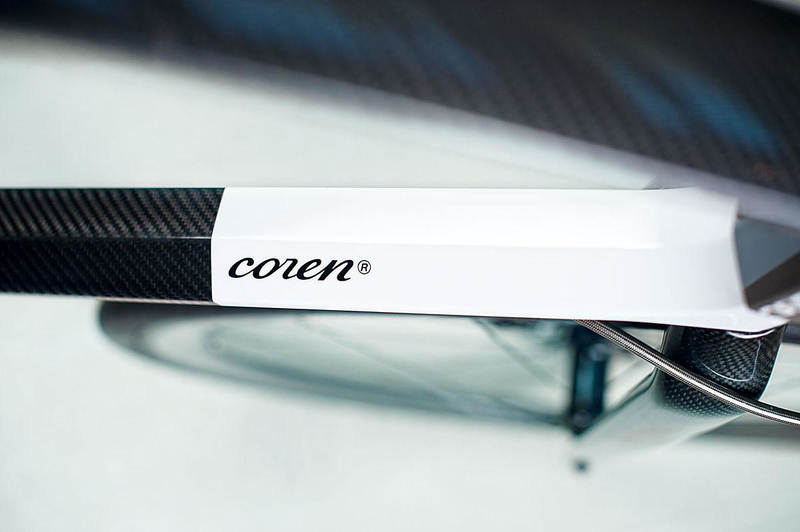 The UBC Coren bike is completed with selected high performance parts. 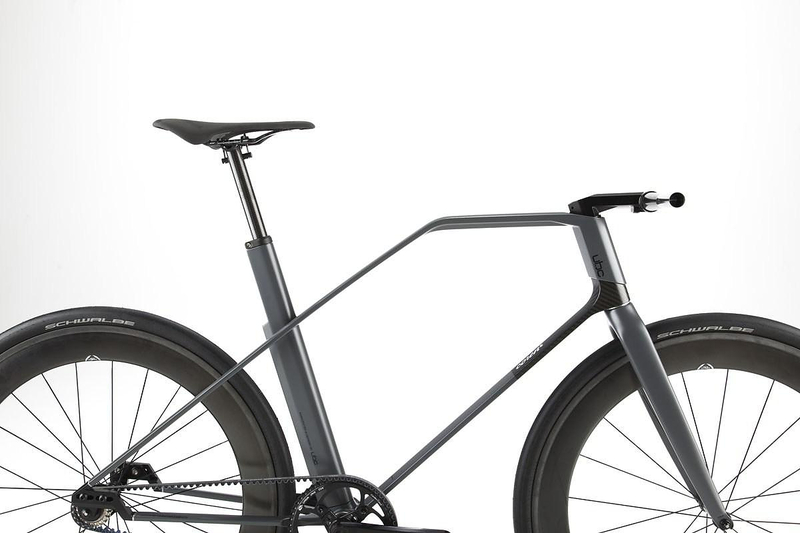 UBC deliberately opted for partners whose philosophy and quality comes as close as possible to their own and carbon fiber was used wherever possible. 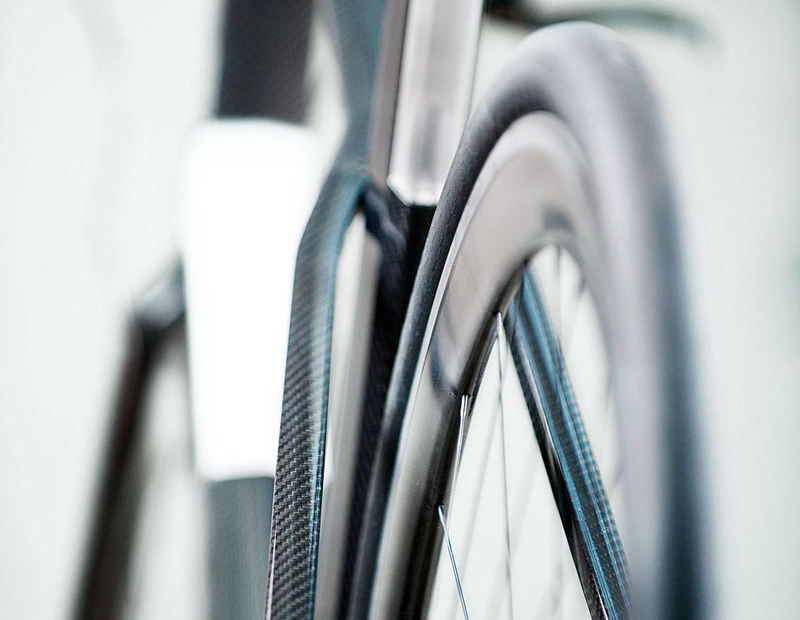 The bicycle has carbon rims built by LIGHT-WOLF, the lightest available in the market. High-grade PRINCE & PRINCESS hubs. 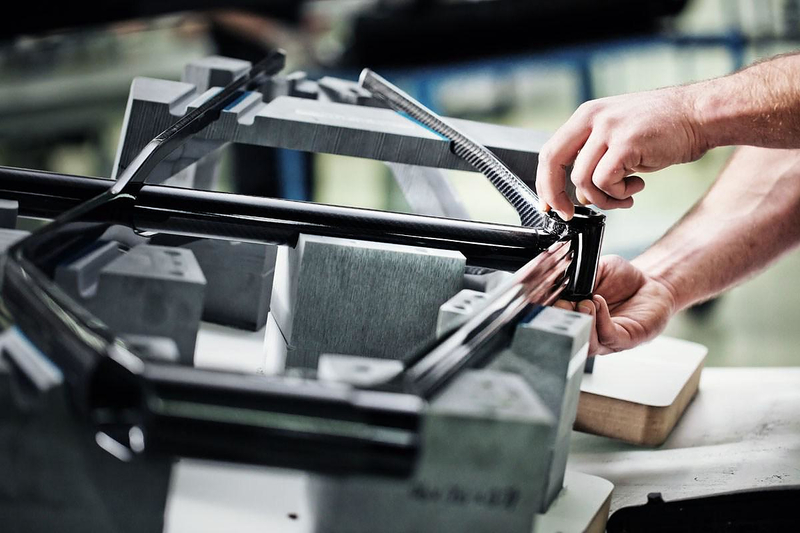 A patented GATES carbon belt drive system. 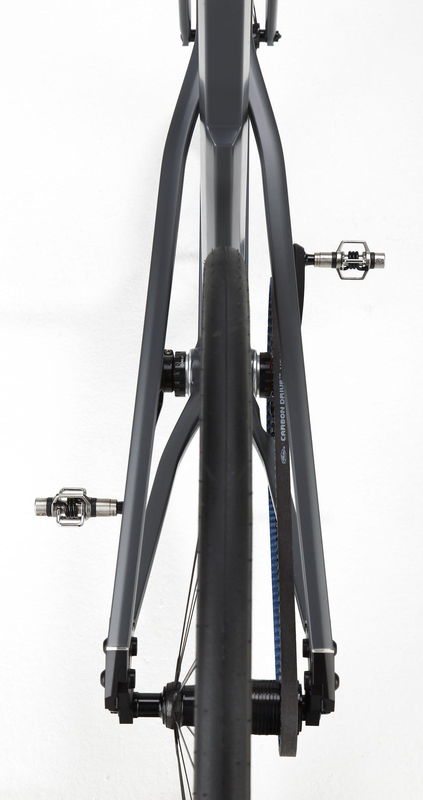 CNC milled fork ends with integrated belt tensioners. 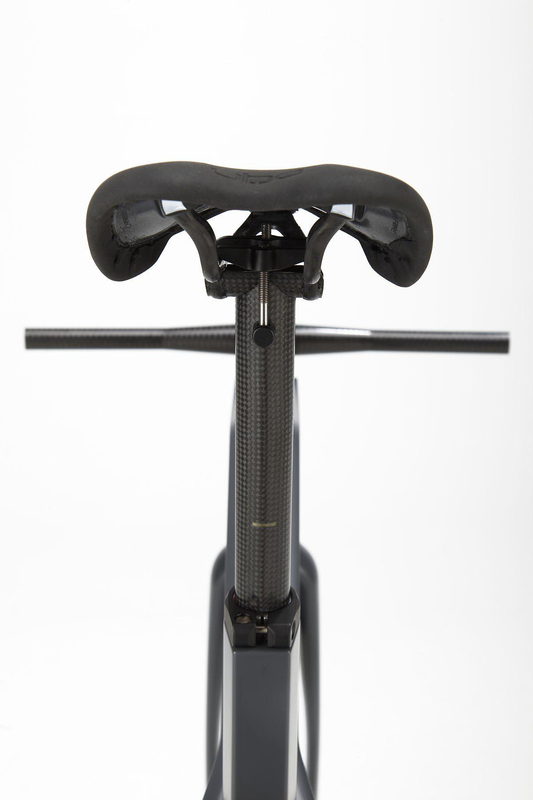 A LED rear light integrated in the seat tube. 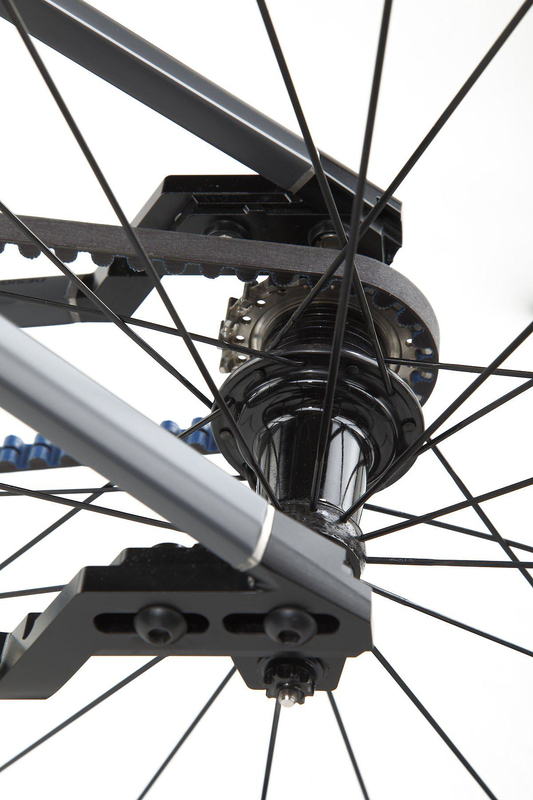 TRICKSTUFF CLEG 4 four piston brake calipers with automatic pad adjustment combined with ultra-light MAGURA SL disc brake rotors, and many more fine details. Moreover all the contact surfaces are covered with fine cow hide. 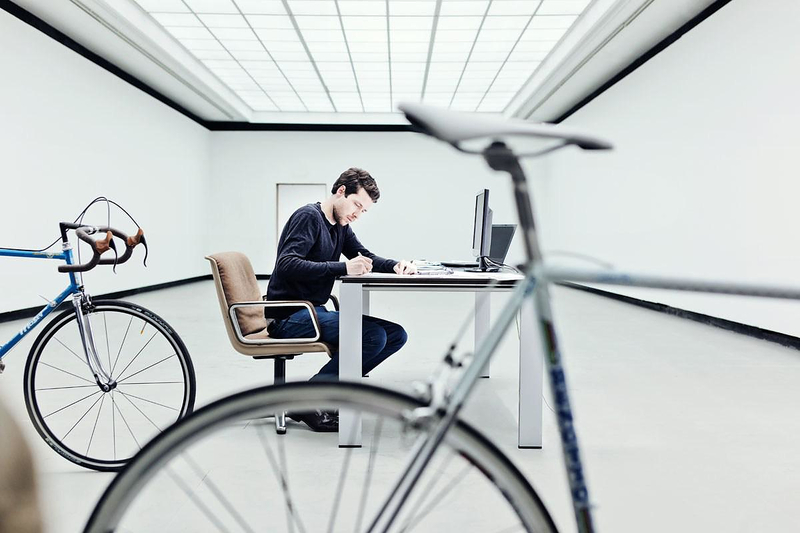 At 25,000€ the UBC Coren is not a bike that many will get to ride in their lifetime. But nevertheless it is a finely crafted thing of beauty and UBC can be proud of their creation.